In January 2010, the Newport Police Department began providing the Pharmaceutical Disposal Program as a public service to properly dispose of expired or unwanted pharmaceuticals. The Newport Police Department, with the support of the Partnership Against Alcohol and Drug Abuse (PAADA) and Addiction Prevention and Recovery Committee (APARC), placed the Pharmaceutical Disposal Collection Box in the lobby of City Hall, across from the Police Department. Placement in this area allows members of the public to ask questions and to easily receive assistance from NPD staff. Hours are Monday through Friday, 8:00 a.m. to 5:00 p.m.
PAADA and APARC provided the collection box and all media materials. The Newport Police Department has been joined in this project by the Toledo and the Lincoln City Police Departments, which are also supported by PAADA and APARC, and now have collection boxes in their lobbies. The contents of the collection box are removed periodically and disposed of at an authorized site. The cost to dispose of the drugs was only a few dollars. Prior to the Disposal Program taking effect, citizens with unused or unwanted pharmaceuticals had no method of disposing of them, other than to place them into the sanitary sewer system or into their trash. The Newport Police Department recognizes that maintaining unused pharmaceuticals in the home creates a risk of abuse by unauthorized adults, or youth who may gain access to dangerous drugs. Furthermore, medicines that are “flushed” enter the water system through our sewage treatment facility. 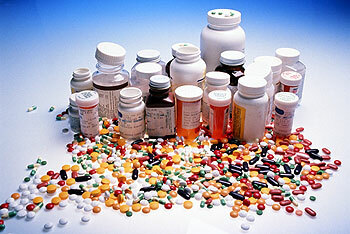 The Pharmaceutical Take Back Program offers an environmentally correct alternative to flushing pills or medicinal liquids. The program operates year-round, and legally accepts all prescribed medications, including those defined as controlled substances. Only a Law Enforcement Agency is authorized by the Federal Government to collect and dispose of unused controlled substances. The Newport Police Department encourages people with unused or unwanted drugs of any kind to utilize this important service, depositing prescription or over-the-counter drugs intended for humans or animals in the pharmaceutical drop box at their Police Department.